In Maryland, there are specific rules regarding emergency vehicle lights. These rules vary, depending on the vehicle, but they all serve the common purpose of letting people know that there is an emergency taking place and that people should behave accordingly. Throughout this article, I'm going to go over the various emergency vehicle light laws and let you know what each vehicle is allowed to do with its lights during an emergency. According to the Code of Maryland (Statutes) Section 22-218, all police vehicles need to be equipped with signal lamps that display red flashing lights. These police lights need to be visible to both people viewing the vehicle from the front and to people viewing the vehicle from the back. These lights must also be strong enough to be seen from any direction within 500 feet of the vehicle. Police vehicles may also use white or blue strobe police lights as part of their lighting system and can use these light colors for their signal devices. The Code of Maryland (Statutes) Section 22-218 states that all fire trucks need to be equipped with signal lamps that display red flashing lights. These lights need to be visible to both people viewing the vehicle from the front and to people viewing the vehicle from the back. These lights and light bars must also be strong enough to be seen from any direction within 500 feet of the vehicle. Fire trucks are allowed to use either red or white lights as part of their lighting system or signal devices. Code of Maryland (Statutes) Section 22-218 says that all volunteer fire fighter trucks need to be equipped with signal lamps that display red flashing lights. These lights need to be visible to both people viewing the vehicle from the front and to people viewing the vehicle from the back. These lights must also be strong enough to be seen from any direction within 500 feet of the vehicle. Volunteer fire department trucks can use both white and red lights for their signal devices or lighting systems. However, only 5 volunteer fire department officers are allowed have their trucks equipped with red or white lights. The Code of Maryland (Statutes) Section 22-218 states that all ambulances need to have signal lamps that display red flashing lights. These lights need to be visible to both people viewing the vehicle from the front and to people viewing the vehicle from the back. These lights must also be strong enough to be seen from any direction within 500 feet of the vehicle. Ambulances are allowed to use both red and white lights for their lighting systems and display devices. According to Code of Maryland (Statutes) Section 22-218, tow trucks are allowed to use either yellow or amber-colored lights for their display devices or lighting systems. Code of Maryland (Statutes) Section 22-218 says that all construction vehicles may be equipped with either amber or yellow colored lights for their lighting systems or display devices. The Code of Maryland (Statutes) Section 22-218 states that utility vehicles may use either yellow or amber-colored lights for their display devices or lighting systems. According to the Code of Maryland (Statutes) Section 22-218, pilot vehicles are allowed to use either amber or yellow colored lights for their display devices or lighting systems. A pilot vehicles must also use at least one rotating light when it is traveling 20 mph below the speed limit. This light must be at least 3 inches in diameter and visible from both the front and the back of the vehicle. Code of Maryland (Statutes) Section 22-218 says that security vehicles are allowed to use either yellow or amber colored lights for their strobe lighting systems or display devices. Over the course of this article, we have gone over the light laws of many different types of vehicles. we have talked about the colors that each vehicle is allowed to use and discussed requirements that certain vehicles must meet. 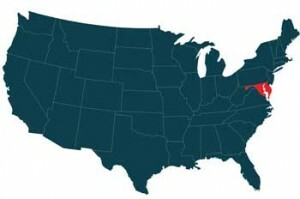 we have also referred to the Code of Maryland (Statutes) Section 22-218 throughout this article. 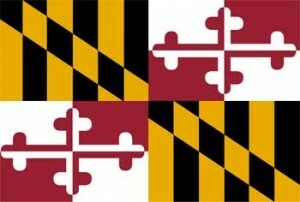 If you would like to read the Code of Maryland (Statutes) Section 22-218 in its entirety, then feel free to click here.